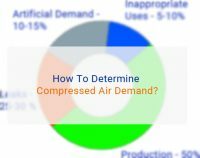 In our previous article, we discussed ways of determining compressed air demand; that is, the level of compressed air you require in order to keep the day-to-day functions of your plant or factory ticking over. With your demand determined, the next step in designing and installing a compressed air system is to design a system of storage and distribution that will provide adequate supply to meet your demands. This is done through ensuring that the system can store enough compressed air as well as being able to distribute properly to the various equipment that requires it. It is important that supply matches demand as closely as possible. If your system distributes an inadequate supply of compressed air, you’ll have to run your system for longer in order to power equipment, which in turn leads to increased operating costs. On the other hand, if your system is generating too much air, you’ll lose money through air wastage. Compressed air systems generally work on the principle that if pressure drops, the demand on the system is increasing and thus the output of air compressors attached to the system is increased. By the same logic, if pressure in the system is rising then demand is decreased and the output of the air compressors is reduced accordingly. Most compressed air systems will make use of capacity matching control systems coupled with Variable Speed Drives (VSD’s) to measure the current system pressure and increase or decrease compressor output via continual adjustment of drive motor running speeds. These adjustments are made according to the current level of demand. Why Is Compressed Air Storage Important? One of the key components of any compressed air system is an air receiver, an essential part of a compressed air system that stores air produced by the compressor. The receiver also acts as a buffer to help regulate demand for the air versus the amount of air that is being used downstream from the air receiver. Most compressed air systems are designed so that the maximum output of the air compressor exceeds the maximum possible demand by the end user. To facilitate this process, an air receiver will store compressed air that is not being immediately used by the end user for later use. Air receivers help modulate the demand for air from the air compressor to the end user of the compressed air, allowing the air compressor to run less frequently as it does not have to cycle on and off constantly as air in the system is depleted. Another important role of an air receiver is to equalize pressure differences from the air compressor’s on/off cycle. When the air compressor turns on, pressure is high, and when it shuts off and air begins to be depleted from the system, pressure drops. By helping to maintain a constant supply of air at a constant pressure, an air receiver acts as a pressure regulating device; it helps to keep the pressure stable during the shift from high to low pressure as air is depleted and conversely from low to high pressure as the air compressor turns on. 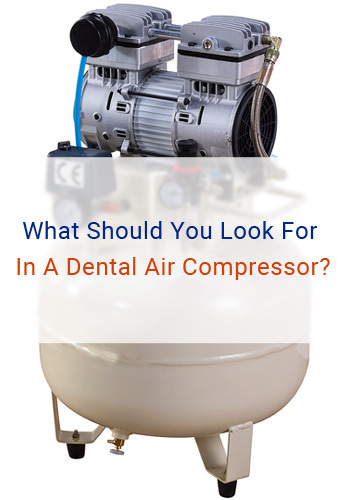 This helps to avoid wear and tear on the air system, the air compressor, and the tools at the point of use. 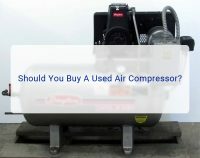 In compressed air systems that are supplied by Variable Speed Air Compressors, the size of an air receiver can be reduced according to demand patterns. Air receivers are an integral part of any compressed air system. Such receivers will often be seen at the beginning of the system and at the end of the line near the point of use. Sometimes, a system will have multiple receivers. What Makes The Ideal Distribution System? The perfect compressed air distribution piping network will provide compressed air at the correct pressure to all equipment that requires it, meeting demand exactly and thus eliminating any costly wasted energy. Of course, the reality is often different and compressed air distribution systems can deliver less air than they should. One of the main causes of this are the pipes themselves. As compressed air travels through pipe work, friction causes the air pressure to drop. This in turn leads to a requirement for increased air output from the system air compressors in order to overcome the pressure drop. You should also keep in mind that air pressure reduces the longer it has to travel. This all adds to the cost of running a compressed air system. There are a few design choices that can alleviate these negative effects, however. Installing larger pipe work for example, will reduce the effects of friction on compressed air – as will installing smooth bore piping. Compressed air systems should also be designed so that compressed air travels the shortest, least restricted route possible to its final destination. Try to make connections between the various components of your system as short as possible and make sure your pipe work is as straight as possible; twists and turns can lead to a drop in pressure. Proper maintenance is also important in ensuring that your system’s distribution is as efficient as possible. We will be covering maintenance, air compressor servicing and leaks in more detail in a later post. The process of designing a compressed air system, ensuring that supply meets demand as efficiently as possible, is a difficult one. It is important that you enlist the help of an experienced compressed air system designer to ensure that your system is as efficient and cost-effective as possible.